This is How You Know They're The Best! 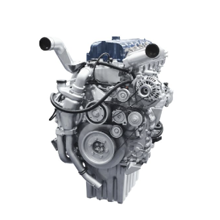 We offer a variety of Diesel Engines For Sale. Click on the image to learn more. Caterpillar Diesel Engines are used across the globe for a variety of equipment. No matter what you are transporting or carrying, Caterpillar has your engine needs covered. Cummins is one of the leading diesel engine manufacturer around. Cummins Diesel Engines are found over the world and offers the power you need for every type of equipment within a large variety of industries. For over 65 years, Young and Sons have been building and rebuilding some of the highest quality diesel engines in the nation. Young and Sons’ mechanics do all of the work right here in our state-of-the art Indianapolis shop. When you buy from Young and Sons’ you’re not only supporting a long time family business, but also cutting out the middleman. Our experienced staff of mechanics keeps up to date with the changes in technology throughout the industry. Unlike many diesel engine brokers, you buy directly from the same people who built the diesel engine. This not only will save you money, but also provides you with a direct contact to folks who know the most about your engine! With our huge 60,000 square foot shop and state of the art equipment, we can handle almost any diesel engine request. Check out the Diesel Engines For Sale. We also supply new surplus engines with low miles. 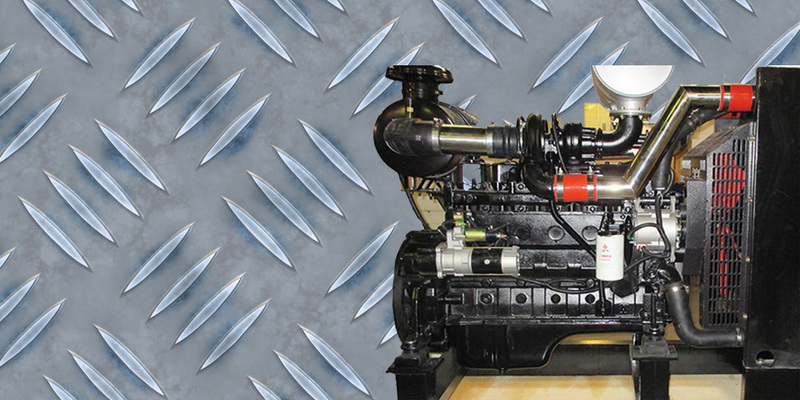 Our rebuilding and build time is dependent on the type of Diesel Engine you purchase. If you are looking for a total rebuild, this may take several weeks depending on the detail of the engine needs. But if we have your engine in our inventory already and only need to make a few tweaks, this could only take a day or two. Regardless of which option you are going with, you will know the time frame before we get started and when we provide you with a quote. We like to work with our customers time frame and will be honest in our time estimate from the get go. We have a large staff on hand and some of the fastest builders around. Although the most common are Cummins, CAT, and Detroit Diesel, don’t get discouraged if you don’t see your engine. We build and rebuild a wide variety of engine. Our rebuild Diesel Engines are stripped down to the block, installed with new and manufactured parts and brought back to 0 miles and 0 hours. Our goal is to make each rebuild diesel engine run like new. We tear down the engine to its core and clean out all the parts completely and a thorough inspection of all parts is performed. The upper and lower counter bores are machined to renew the cylinders. The engine’s cylinder block and bore block are set to standards and specs and bolt holes are tapped. A complete rebuild of the diesel engine’s fuel system and pump is performed. We replace the engines bearings reciprocating components, gaskets, seals and more with new parts and installing new hard lines, flexible fuel and lines fittings. With all of these changes, there is a huge boost to diesel performance. Looking for Diesel Engine Parts? We supply a large inventory of parts in our warehouse. From new, used and rebuilt parts, we are sure to have what you are looking for any make of Diesel Engines. If you are interested in the parts we offer, reach out and we can give you a detailed list. We also have a full service, state of the art machine shop to recondition blocks, blowers, cylinder heads, fuel injection systems, rods, turbo chargers, water pumps, fan hub assembly and many other components. You are welcome to stop in or call to discuss any of these services. 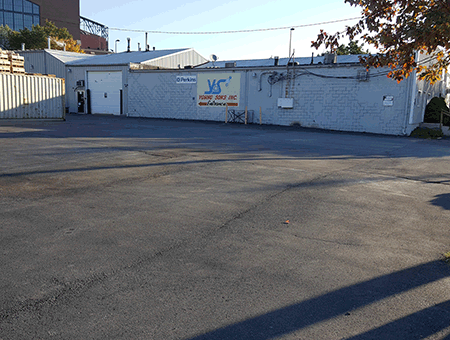 Our address is 412 W. McCarty St in Indianapolis, Indiana. Why Choose Young and Sons? • We are a family own business who started in a small garage and grown to the 60,000 square foot facility it is today. • We serve both national and international markets. The diversity helps our company continue to grow. • Our mechanics are ASE (National Institute for Automotive Service Excellence) certified. Working with Young and Sons means you are getting experienced mechanics that will build and rebuild the best quality engines. If you have any questions for any of our staff, feel free to call us directly at (317) 263-0960. If you need a quote, fill out our contact form and we will get back to you shortly. We are looking forward to working with you on all of your diesel engine needs.